Yes, it is still cold outside. Yes, you still need to throw on a coat to stay warm. But, before you know it, summer is going to be here, and trust us, it is better to start preparing now for the coming season. Sure, that may sound silly, but actually, thinking about the warm, sunny weather while your teeth are still chattering can benefit you greatly in the long run. One of the best ways to prepare for summer is to schedule air conditioning HVAC services in Leesburg, VA with a professional. Scheduling your air conditioning maintenance now ensures your system will remain efficient and effective throughout the entire season you rely on it most. In case you aren’t yet convinced, we have provided a list of reasons as to why you should schedule your pre-season maintenance. Keep reading below to learn more. Perhaps the most important reason to stay on top of your air conditioning maintenance is energy efficiency. Ensuring that your system is energy efficient is the best way to keep repair costs and utility bills to a minimum, as operating an inefficient system can lead to a wide range of problems. During your maintenance visit, your technician will thoroughly inspect your system and make minor adjustments when necessary to boost performance. These adjustments will keep your system running smoothly all summer long so you won’t have to worry about your comfort or your budget. The last thing that any homeowner should have to deal with is a fussy AC during the summer. A broken AC could leave you and your family quite uncomfortable and could drive cooling costs way up. Therefore, it is best to schedule your services now. When you schedule now, you can have peace of mind knowing that your system will be reliable all summer long, keeping you cool and comfortable, even during the hottest heatwave. Far too many homeowners wait until the last minute to schedule their air conditioning services, leaving HVAC professionals quite busy answering dozens of service calls. 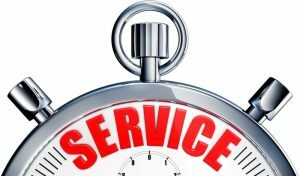 Though this is good for business, it does not do you any favors when it comes to scheduling your services during a time that is convenient for you. When you schedule now, you won’t have to worry about beating the summertime rush. Additionally, there will be plenty of time to resolve any problems that are discovered. If you are looking to get the most out of your air conditioner this summer, be sure to hire a professional HVAC technician. Only a professional has the knowledge, training, and experience to diagnose and repair complex AC issues. We always recommend scheduling your AC services with a professional ahead of the summer season to ensure maximum performance and efficiency. Besides, you have plenty of other things to worry about this summer besides a broken AC, like perfecting your cannonball and getting a great tan. To schedule your air conditioning maintenance services, contact Polar Bear Air Conditioning & Heating.